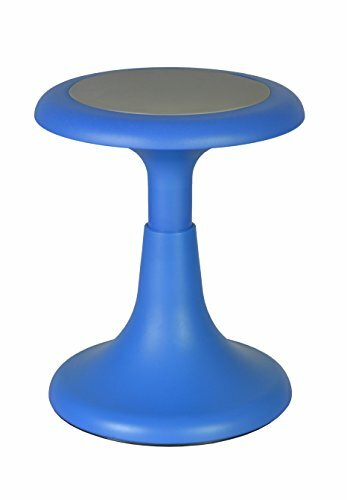 Glow stools are a perfect fit in classrooms, libraries, playrooms, at circle time or activity tables. Designed for students on the move, these stools feature convex bases that allow for movement in all directions while seated, which means even restless students can still move around without disrupting the rest of the class. Non-skid padding on the bases prevent unwanted slipping. Durable construction and ergonomic design encourages good posture at an age where developing habits of healthy posture are most important. A padded seating surface provides a safer alternative to hard plastic alone. Its vibrant blue finish will brighten up any classroom, activity room or waiting area. Glow stools ship assembled and are ready to use immediately.